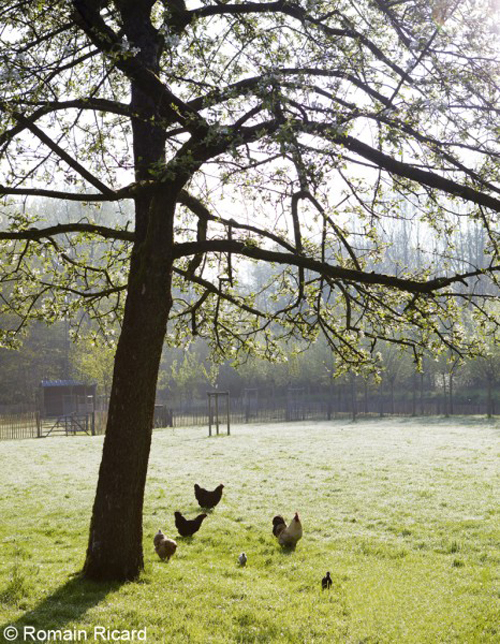 I have posted about this beautiful restored farmhouse in Belgium before on my blog The Travel Files. 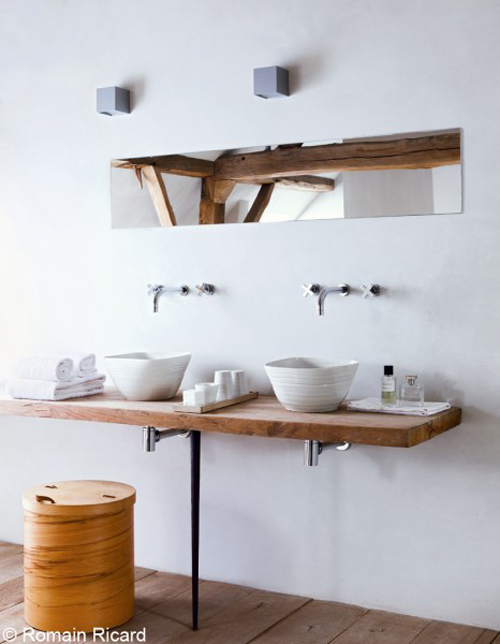 But these new images from photographer Romain Ricard here were recently featured in ELLE Deco France. 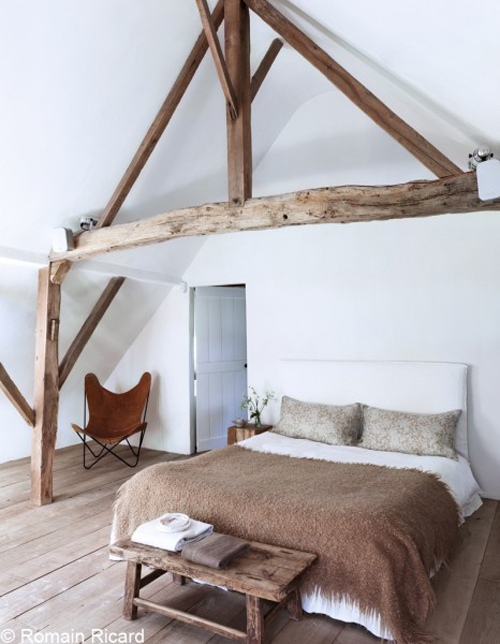 This stunning home and stylish Bed & Breakfast in Heusden-Zolder in the Provence of Limburg in Belgium is owned by interior designer Dorine Cooreman who has her own design firm called Moka Projects. Truly stunning! Love the rustic yet chic look really much. Beautiful simplicity in the design of this renovated farmhouse. I love the way the simple interior allows the building to speak for itself. Love the brick (?) floor finish in the living room. Lovely!